The kick in this Stratocaster electric guitar comes from the hand-wound Ancho Poblano pickups. These Custom Shop designs are specially engineered to offer you spicy expressive tones that get progressively hotter from neck to bridge pickup. The middle and neck pickups are tweaked across the strings to enhance your solo work, while the flat-pole bridge pickup is fashioned for punch, making your guitar work your amp hard. 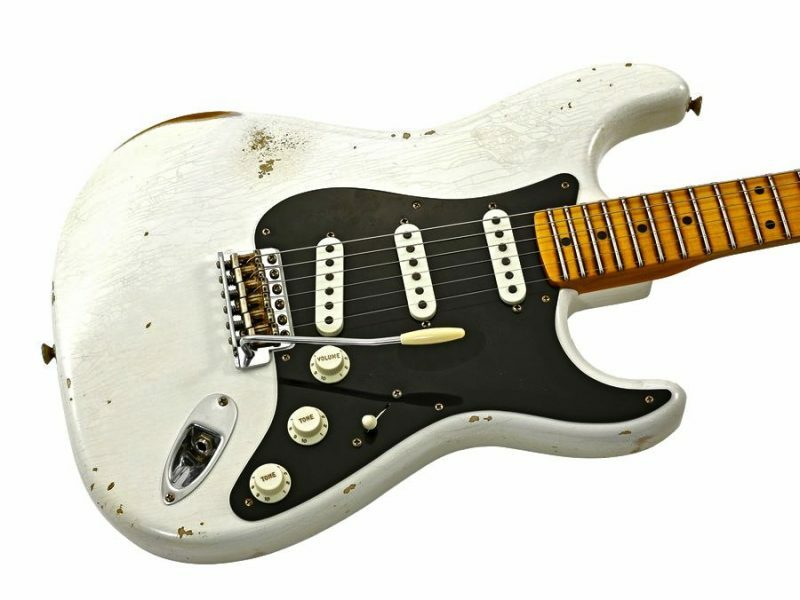 And Fender has curbed these spicy pickups’ microphonics and preserved their open-yet-focused tone by potting them in their own “secret Custom Shop sauce”. While the voice of this Strat is more agressive than some designs, the feel of the guitar is based firmly on a great vintage platform. A quartersawn maple 1951 “U”-shape neck has that comfortable “baseball bat” feel of some of the most sought after necks of the ’50s era. 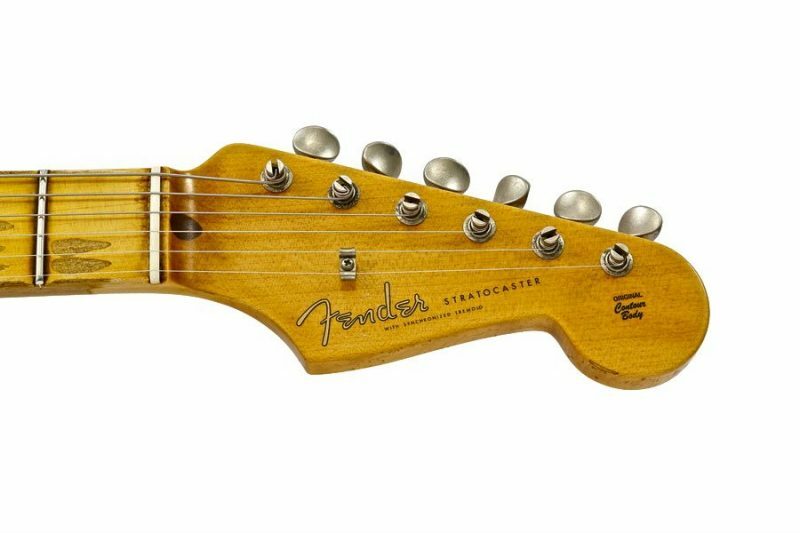 You also get the tone and control that can only be achieved with Fender’s American Vintage synchronized tremolo with bent-steel string saddles. Even with its big, bold personality the Ancho Poblano Strat oozes Fender purity of design in every way. 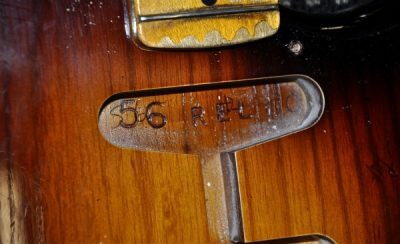 A relic’d guitar finish is almost as common these days as a flawless factory finish. It was Fender Custom Shop that pioneered the process and they know it better than anyone. 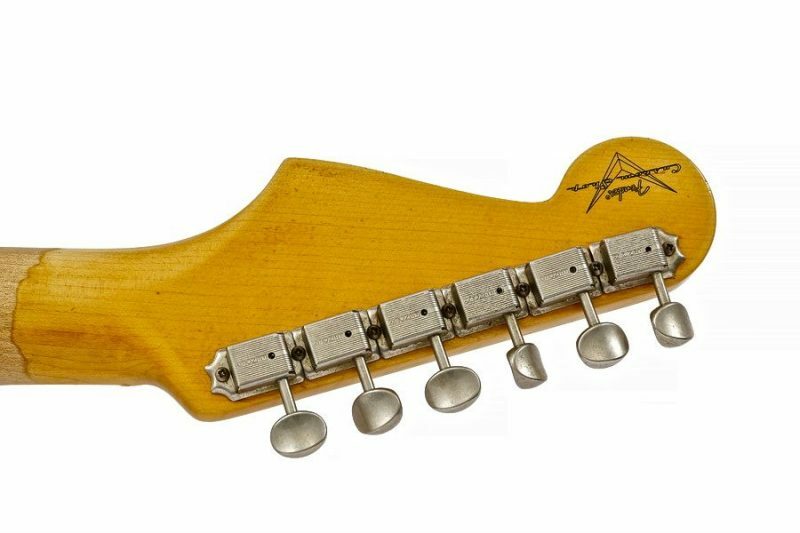 Fender offers different levels of relicing. One of the newer relic levels is the Journeyman found on this Custom Shop Ancho Poblano Strat. The Nitro-lacquer finish gives you a look and feel that’s used, but not abused. Imagine a loved guitar that’s been well taken care of, but also definitely been played. It’s totally broken in, but holds up like a brand new electric guitar. Add some heat to your sound with the Fender Custom Shop Ancho Poblano Stratocaster.